Here is an impressive and yet singular resume. It comes in faded blue, navy and white colors. It insists on your professional experiences. The left column details your personal information, your social links on the web and your skills. On the right, it describes your career path with your work experience and education. We recommend the use of this model if you are a senior executive who already has a substantial professional experience. 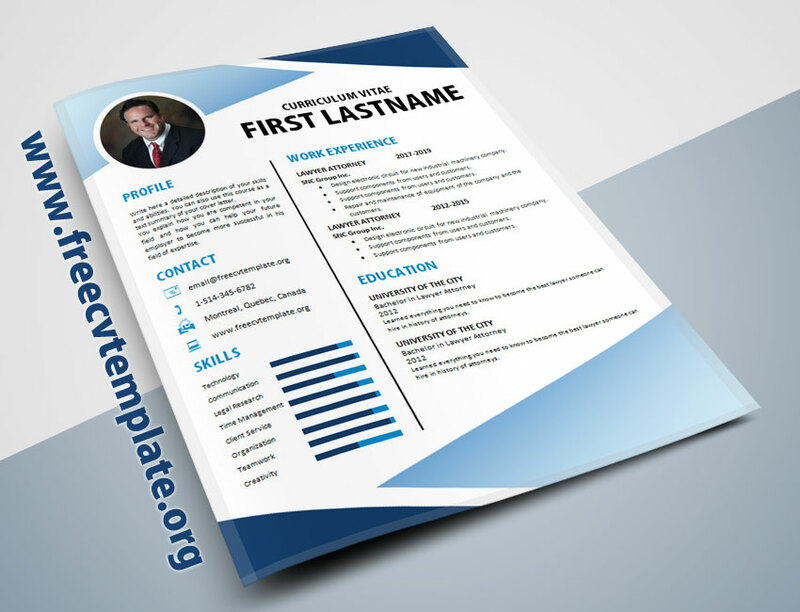 This resume will be appropriate for wide variety of work areas including accounting, economics or banking. This is what your result should look like. Just click on the download button to save the file that is in ms word format directly on your computer. 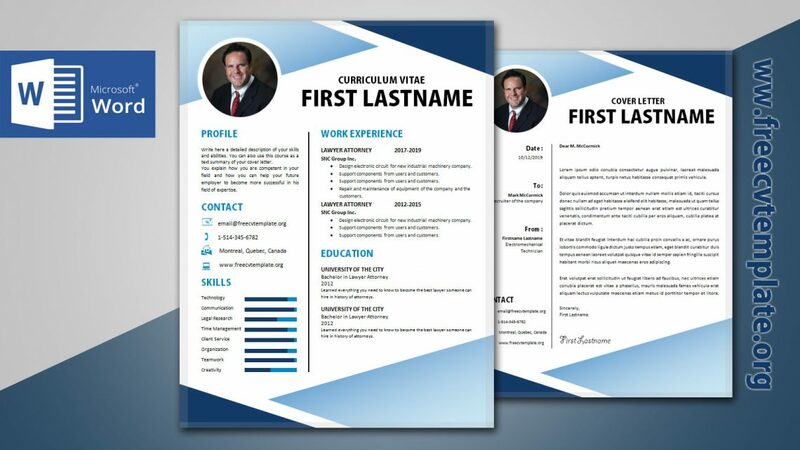 To get the cover letter that matches this curriculum vitae, simply click on the download button right after the next image presentation. The fonts used in these templates are Calibri and Kozuka Gothic Pro H. If you don’t have one of them on your computer, simply make a search on the web, download and install them. 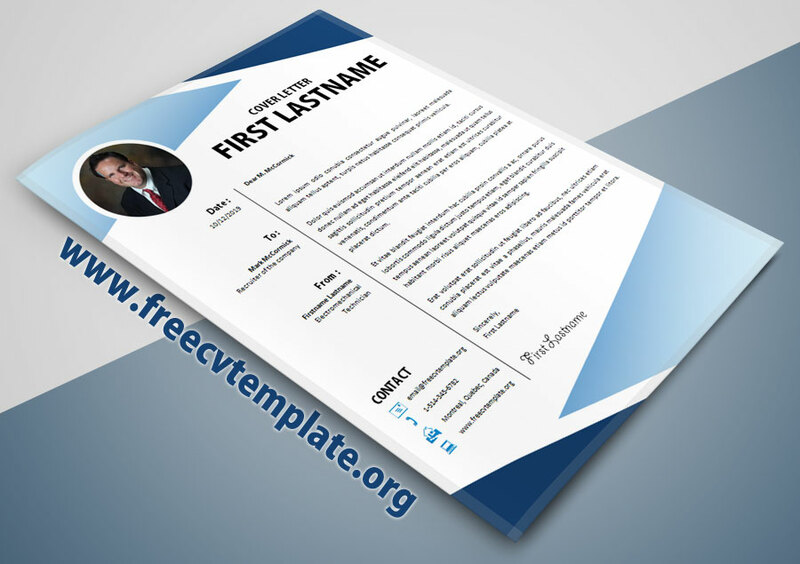 We always use wide available free fonts in all our templates. That makes them available to the most people around the globe. We always love getting feedback from our users. You can do so in multiple ways: Rate our template 5 stars, comment down below and like our Facebook Page. Thank you so much and good luck getting that job of your dreams. Wow, one of the best looking cv i have ever seen! Can’t believe you are sharing this for free… I’ve seen website where they charge lots of money for the same quality files. Thanks to you sir! Thank you so much for sharing your amazing work. I love this one, I know it will make people go “Awww” when they’ll see my new resume. I’m totally doing this.